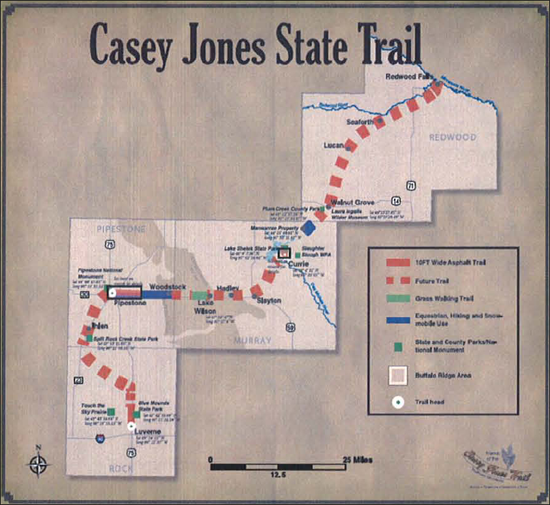 The Casey Jones State Trail was the first legislatively authorized trail in the state, with enabling legislation passed in 1967. The original intent was that the route would be the abandoned railroad grade in Pipestone and Murray Counties and then sweep northeast through Slayton to Lake Shetek State Park. The Friends of the Casey Jones Trail Association is a 501c3 organization. We advocate for the development of the Casey Jones state trail and maintenance of the existing trail, which is owned by the State of Minnesota and managed by the Minnesota Department of Natural Resources (DNR). 8/8/2018: If you shop for school supplies on Amazon, please use our AmazonSmile link and Amazon will donate .5% of the purchase price to the Friends of the Casey Jones Trail Association. 7/10/2018: The southeast portion of the Currie Loop is underwater due to recent heavy rains. 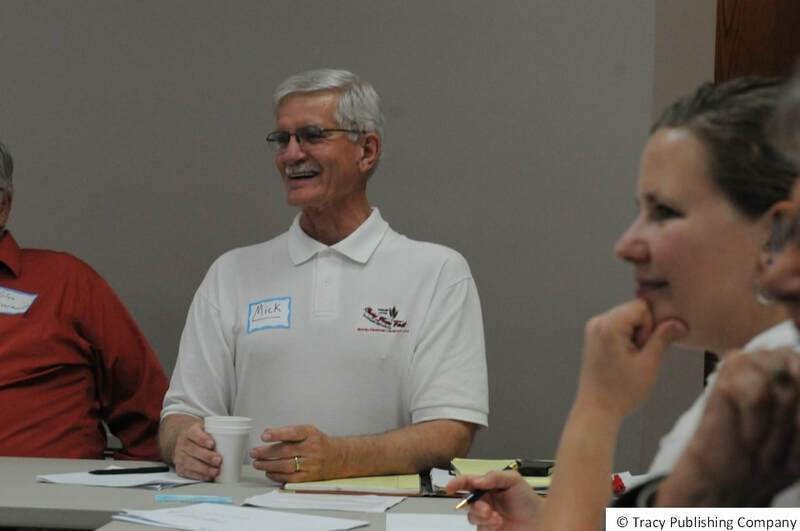 3/29/2018: The Annual Meeting of the Friends of the Casey Jones Trail Association will be Thursday, June 7 at 2:30 p.m. at the Hiawatha Lodge in Pipestone. Anyone may attend. Details to follow. 5/20/2016: "On 50th birthday, Casey Jones State Trail needs funding for updating and completion"
Luverne Area Chamber of Commerce office.